Forget all other way of keeping the aquarium when you can hang your own at the wall. 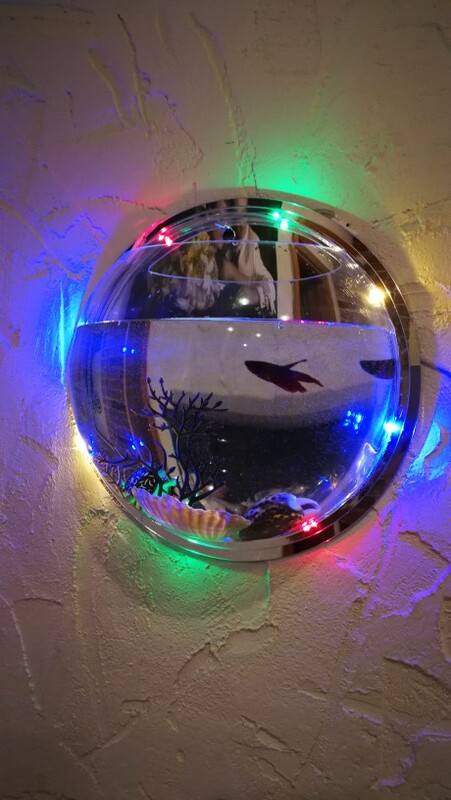 This aquarium has very cool design and can be used at any place, office, kithen, dining room or literally everywhere. It looks so beautiful that everyone will admire. This is perfect for the people who dont have enough space for the big aquarium but want to have one. This is a new design of aquarium which will surely replace the old way of keeping the aquarium. 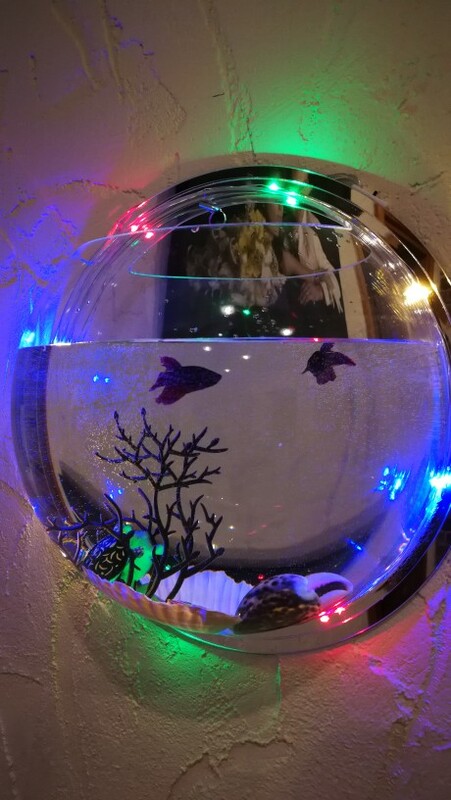 This Acrylic Fish Bowl Wall Hanging Aquarium has Wide hole for easy hanging or taking off the wall. This is unique, Creative, attractive, amazing wall mounted fish tank. This fish tank is made up of Superior Transparent Acrylic material, which is beautiful and durable. It is so clear that it easily Show off your fish! This is a good choice for fish lover. It also helps in Maximize the use of your home or office space. 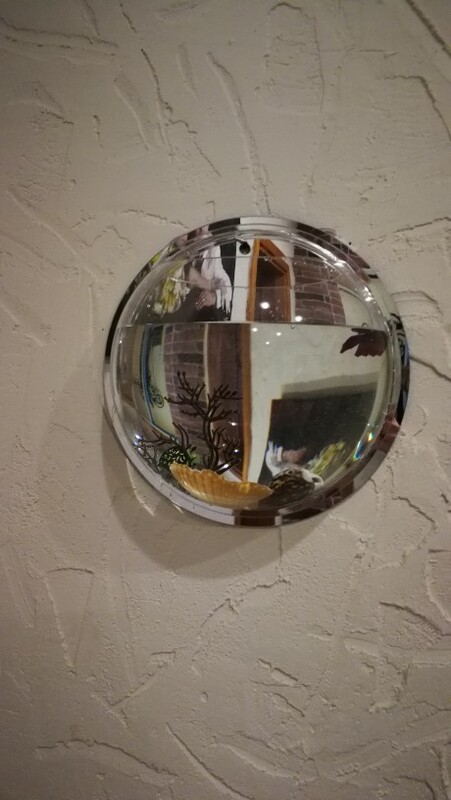 This Acrylic Fish Bowl Wall Hanging Aquarium is Perfect for decorating your home as a decoration wall mounted plant pot. Also can be used for hermit crabs, planting terrariums or housing of other small creatures. Please note: If you bought clear(transparent) fish tank, when you receive it, please tear down the yellow back protection paper. It is transparent. When you find the fish tank has slight scratches during use, please use a toothpaste to wipe it. Class Council. Good quality and cool decor. Great thanks.